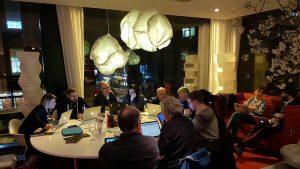 WordPress Community Workshop + Learn Gutenberg – Thursday 11th January, 6:30pm at the Citizen M‘s ground floor lounge. We had to move from our usual space due to maintenance work but we still managed to give Gutenberg a good go! the@wp_glasgow meet up tonight was good. A chance to sit with Gutenberg for a while beside other folk was very useful & has slightly mollified my knee jerk grumpiness. Talk by Heather Burns (title TBD) – Tuesday 23rd January, 6:00pm at iCafe Sauchiehall St.
You’ve probably heard about GDPR, the upcoming overhaul of Europe’s data protection rules, and what you’ve probably heard is a load of rubbish. We’re going to help you to separate the fact from the fiction by walking you through what the new rules mean for you. Take an hour to learn what you’ll need to do to bring your web sites and your businesses into healthy compliance. Another insightful @wp_glasgow session this evening. I've learnt a lot about #GDPR over the last few months, but @WebDevLaw offered a lot of new & useful information to take away. “Public Speaking for Techies”, by Martin Sproul – Tuesday 23rd January, 6:00pm at Skyscanner, Glasgow.This event is organised in conjunction with 9 other Glasgow Tech Meetups and currently limited to 6 spaces per group. Please refer to the event’s Eventbrite page for further details. 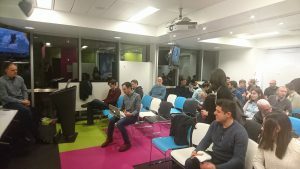 You can join the WordPress Glasgow community and find out more about these and other events from our meetup.com site. This December we have only one meetup, it’s a social! We’ve booked a table for 16 at the World Buffet, 410 Sauchiehall Street G2 3JD (see on map). The restaurant offers a wide vairety of food styles and as much as you can eat for £11.99 plus drinks.